XENIA — A Xenia woman arrested in November in connection with a stabbing death has been indicted by a Greene County Grand Jury. 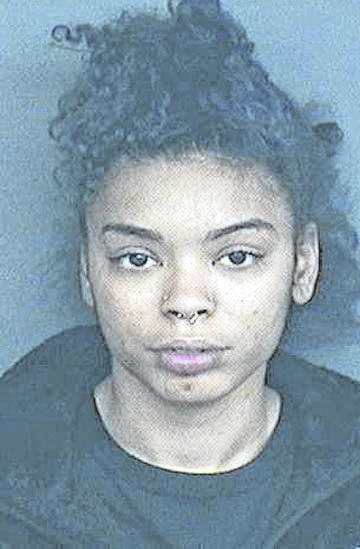 Tova Wallace-Lee, 21, was charged Feb. 1 with murder, a special felony punishable by an indefinite term of 15 years to life; and second-degree felonious assault in the stabbing death of Tre’Ana Tarver, 19, after an apparent altercation. Wallace-Lee is being held in the Greene County Jail on $1,000,000 bond with a no 10 percent specification. Officers were called to a fight in the 200 block of East Church St. around 11:15 p.m. Nov. 3 where they found Tarver lying in the backyard of the residence with a stab wound to the chest, according to a release from the department. Tarver was transported to Greene Memorial Hospital by the Xenia Fire Division where she died as a result of her injuries, the release said. Pretrial hearings are set for 11:15 a.m. Tuesday, Feb. 19 and 2:30 p.m. Thursday, April 4. A jury trial in Judge Michael Buckwalter’s court is set for 8:30 a.m. Monday, April 22.